President Donald Trump on Sunday reiterated his call for a U.S.-Mexico border wall, this time making a wild claim about the potential influx of millions of illegal Hispanic immigrants. Trump’s tweet had received 20,739 replies, 23,863 retweets and 99,161 likes as of Thursday morning. He held a rally in El Paso, Texas on Monday to continue pushing for a border wall. The president has tweeted multiple times dating back to his 2016 campaign about what he perceives as unprecedented levels of undocumented immigrants entering the U.S., including “caravans” of migrants. 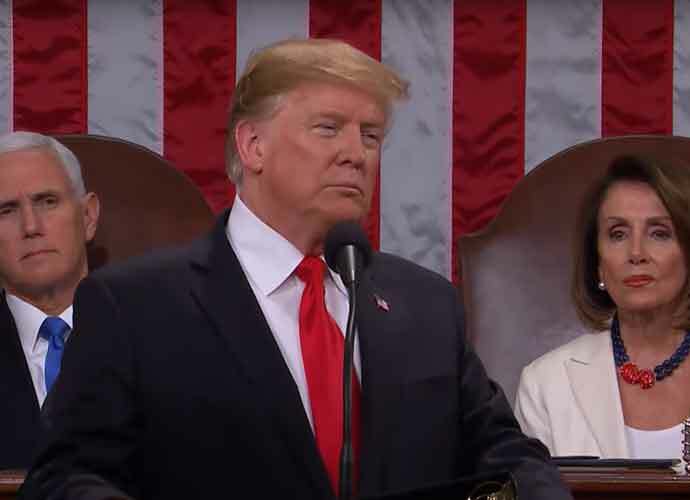 Trump has asked for $5.7 billion in congressional funding for the border wall, which Democrats have staunchly opposed. The stalemate led to a record-breaking, 35-day government shutdown that ended on Jan. 25. On Monday, it was announced lawmakers reached a bipartisan deal to avert another federal shutdown on Friday (Feb. 15), the next date until which the government was funded. However, Trump is reportedly unhappy with this deal, and continues to push for greater border security to stop what he has described as a “crisis” and a “national emergency,” among other things. Trump has also made fear-mongering comments about migrants carrying drugs and other crimes and gangs like MS-13, although many news reports have noted this group was originally launched in the U.S. by Latin American immigrants, and that many of its members are already here in America. According to data from Pew Research, there were almost 467,000 apprehensions at the southern border in 2018, an increase from previous years — especially since 2012 — partly due to the Trump Administrations’s zero-tolerance policy on illegal immigration that resulted in hundreds of families being separated at the border. However, this figure is still significantly lower than border apprehension levels during the 1980s, 1990s and 2000s, when approximately one million migrants or more were being detained each year. Data also shows the majority of migrants crossing the southern border are no longer Mexicans but immigrants from other Latin American countries like Guatemala, El Salvador and Honduras.